October 21 2015. 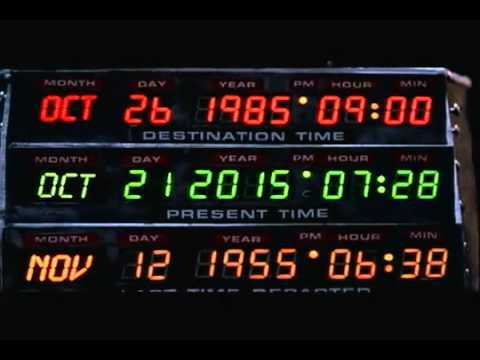 The day Marty McFly and Doctor Emmett Brown arrive from 1985 in Back to the Future Part 2 (despite what countless Twitter posts have stated in the past, today is actually the day). Although we may not yet have self-tying shoelaces, Jaws 19, or hoverboards, the film had a very fun outlook on the future for its time, and even got a few things right (wall-mounted TVs, hands-free video games, a nostalgia-fueled pop culture, etc.). 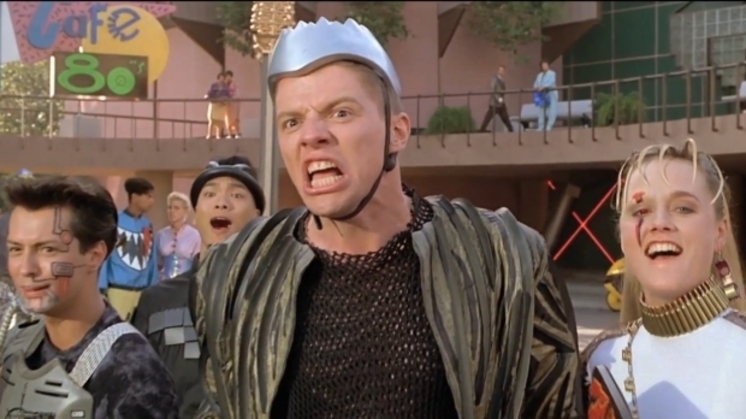 But more importantly, Back to the Future Part 2 is one of the best film sequels ever made. And what better day to reflect on its merits than today? First thing’s first, Back to the Future Part 2 is not quite as good as the original, if only because the original is pretty much a flawless movie. Part 2 contains a couple of small plot holes with its time travel that the first film miraculously avoided. It also isn’t a sequel the uninitiated can jump into. Seeing as it literally picks up where the first film left off, it doesn’t give newcomers a proper introduction to Marty and Doc. This is a sequel strictly for fans. But not being quite as good as the original Back to the Future is no unforgivable sin, and despite the flaws, Back to the Future Part 2 more than holds its own due to its sheer entertainment value (which somehow does match its predecessor), and for how it takes the concept of the series and stretches it to its creative limits. As mentioned, the movie begins immediately at the end of the events from the first film (though it needed to be recreated from the ground up, as actress Claudia Wells, who portrayed Marty’s girlfriend Jennifer in the first film, was unavailable and her role needed to be recast). This means that Part 2 jumps right into the action, and the film immediately travels from the original 1985 setting into the movie’s fantastic vision of 2015. Though we may laugh at how whimsical and technologically advanced Back to the Future 2’s depiction of 2015 is compared to the time we’re now living in, it really is one of the cinema’s more enjoyable depictions of a science fiction future. It’s fun, colorful, and optimistic, but not without its problems. Despite its fantastic nature, the film’s futuristic 2015 still feels like an everyday kind of place (even if the main characters are more entertaining than every day people could ever be). As much as we talk about Back to the Future 2’s 2015, and as wonderfully realized as it is (pay attention to all the background details to see how much love went into making the 2015 of BttF2), it only serves as the backdrop to the film’s first act. After an elderly version of series’ antagonist Biff Tannen steals the DeLorean time machine and gives his past self a 2015 sports almanac to become a surefire billionaire, Marty and Doc return to a very different 1985. In this alternate 1985, the now rich and powerful Biff has bought the city of Hill Valley and turned it into a place of pure corruption. While much of this now-perversed Hill Valley is comically exaggerated, it actually takes the series into some dark territory. 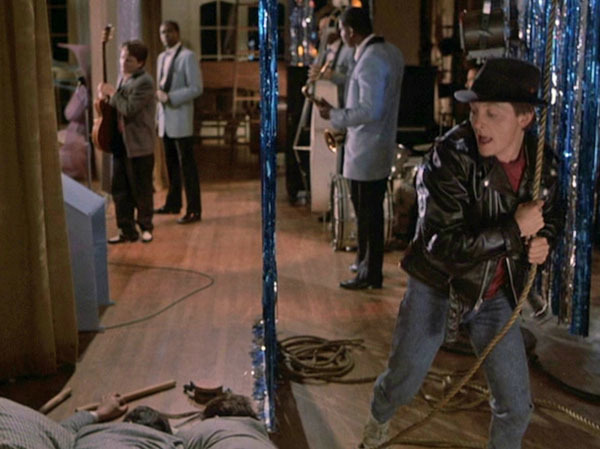 As much as Hill Valley has changed, so has the tone of the film. Though because of the smart script and constantly moving plot, it never feels out of place. Then we have the glorious crescendo of Back to the Future 2’s creativity. 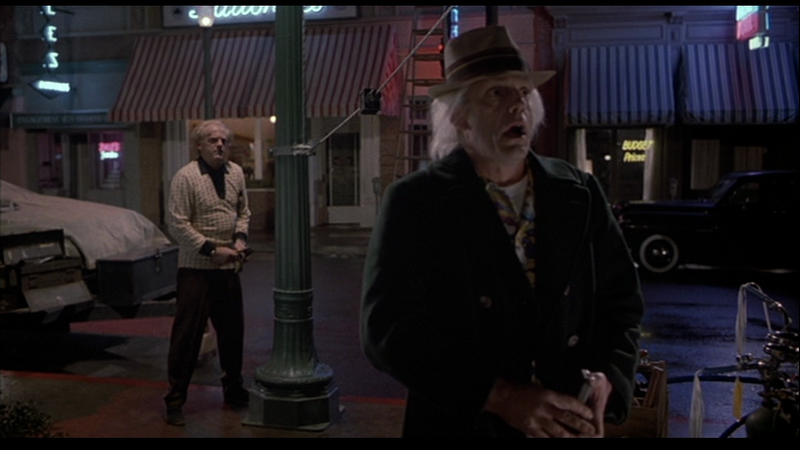 The third act takes Marty and Doc back to 1955 to stop the elderly 2015 Biff’s plot by ridding 1955 Biff of the almanac, thus fixing the timeline and undoing the alternate 1985. What makes this third act so amazing is that Marty and Doc frequently interact with the same situations they interacted with in the first film. And this isn’t in that weird “they’re presence in the past makes things the way they were to begin with” kind of time travel of most movies. Marty and Doc altered the past in the first film, and their present had been altered by Biff in the first act of the second film, and now that they’re once again back where they were in the first movie, Marty and Doc are trying to make sure nothing they accomplished the first time around gets altered, otherwise they could create a time paradox! Back to the Future Part 2 very cleverly handles all three of its timeframes, and weaves them together in one very creative whole. It takes full advantage of the series’ time travel setup by sending its heroes to three very different takes on its world (the future, a dark, alternate present, and the events of the first movie). 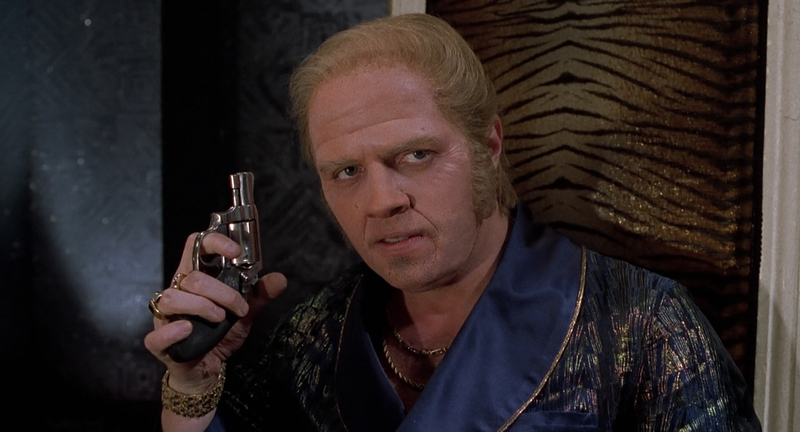 This also gives us a chance to see new sides to the characters, with the most notable being Biff Tannen. In the beginning of the film we see him as his more chilled-out middle-aged self, then as his plotting, elderly version from 2015. He becomes a full-on monster in the alternate timeline, and then the movie turns him back into the brutish 1955 bully from the first film. And that’s without mentioning Biff’s grandson Griff (who, like Biff, is portrayed by Tom Wilson), who is basically a more exaggerated version of bully Biff in 2015. There’s just so much that happens in Back to the Future Part 2. It creates so much out of its concept and it wonderfully connects with the first movie. Universal Studios was dead set on making a Back to the Future sequel with or without director Robert Zemeckis after the success of the original, but we should all be glad that Zemeckis decided to jump onboard to make the sequel he wanted. Because of the input of the series’ creators, Back to the Future Part 2 boasts clever writing, smooth pacing, an interesting story, and a constant sense of invention. It shouldn’t come as much of a surprise that Part 3, though a fun movie in its own right, falls considerably short of Part 2. When Part 3 sends Marty McFly ad Doc Brown to the wild west, it stays there, perfectly content in being a small-scale western and only bringing up time travel when it’s necessary. But Part 2 has so many ideas, and wants to do so much with them that Marty and Doc’s adventures throughout its two hour running time could have been its own series. Instead they come together in a fitting whole that, despite boasting so much, never feels bloated or cluttered. Sadly, we may not live in the 2015 that Marty McFly arrived in. But in this 2015, we can still look back at Back to the Future Part 2 as one of the best sequels ever made. You really need to rectify that.